"[GRAVES], d. Thomas and Ruth, Jan. 10, 1710-11." Vital Records of Lynn, Massachusetts to the end of the Year 1849 (Salem, Mass. : The Essex Institute, 1906), 2 Volumes, Births, page 168, Ruth Graves entry, 1711. Ruth Graves was the only recorded child of her parents were Thomas Graves (1686-1756) and Ruth Collins (1685-1715) of Lynn, Massachusetts. 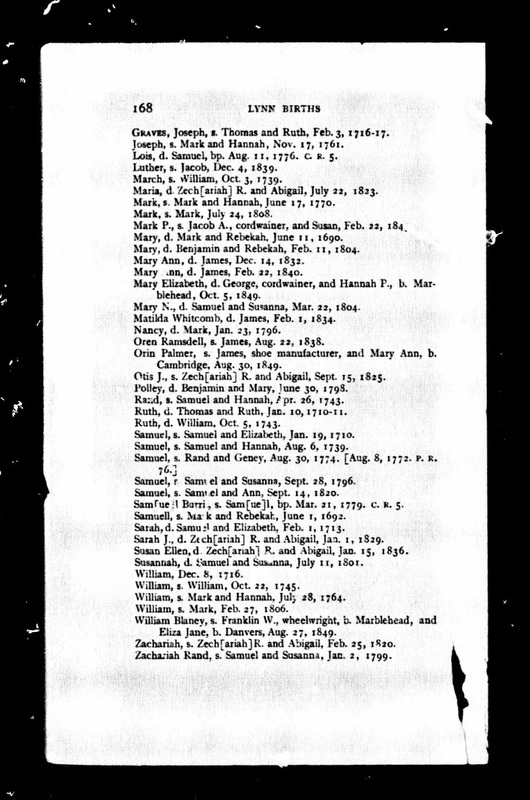 Thomas Graves married, secondly, Ruth Taylor (1690-1756) on 22 February 1714/5 in Lynn. Ruth Graves (1711-?????) 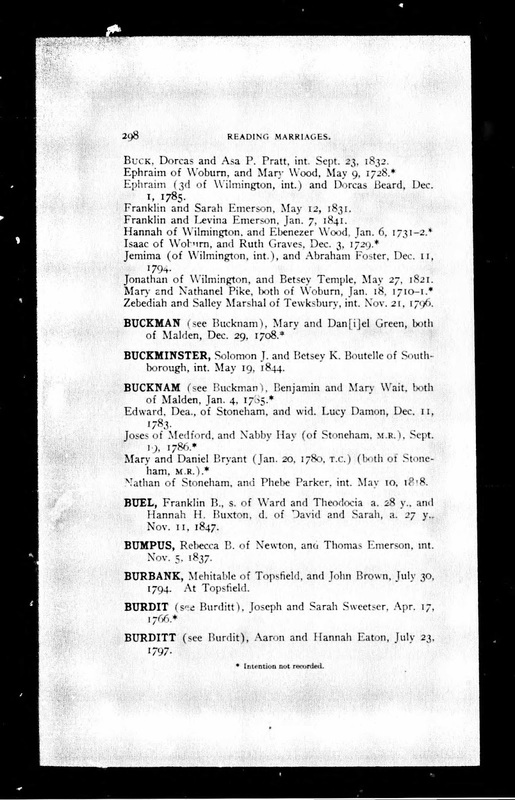 and Isaac Buck (1706-1780) married on 3 December 1729 in Reading. They had six children, but only two were recorded in a town or vital record. Isaac Buck and Ruth Graves are my 6th great-grandparents. I am descended from their son Isaac Buck (1732-????) who had a relationship with Mary Richards (1733-???? ).